It’s noon on a Thursday, typically a hectic time of day for one of Surrey’s busiest law firms, yet the workplace is curiously quiet. Eight lawyers and seven support staff at Zukerman Law Group sit in a vacant corner office, their hands on their knees, palms turned skyward as they place their full attention on their breath. Owner and Senior Counsel Stuart Zukerman is concerned about the short shelf life of family lawyers – a result of the stressful and emotional nature of their work. Family law clients are usually distraught, or angry, and dealing with heart-wrenching issues such as child custody, and division of assets and homes. Zukerman says lawyers often take the weight on their own shoulders, finding it difficult to separate their professional responsibilities from their personal lives. It’s not uncommon, he says, for lawyers to suffer from insomnia or anxiety – especially before an important court appearance. 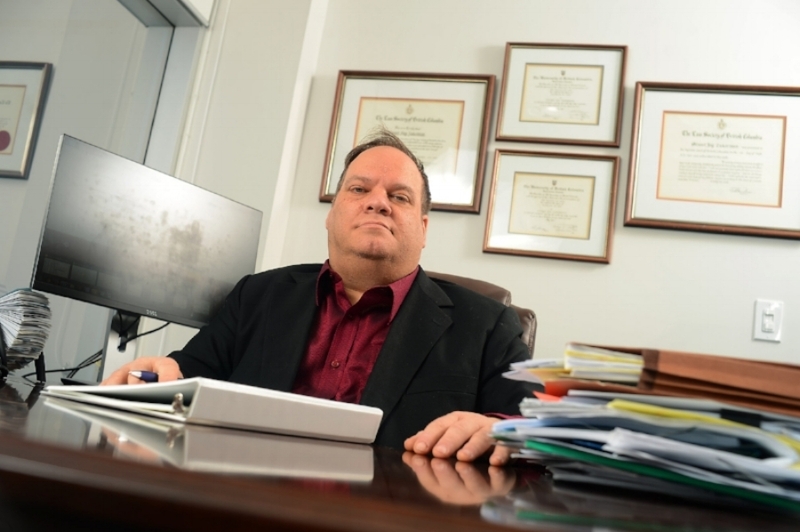 He estimates there’s about a two-year window for family lawyers before burnout grabs hold. To address his concerns, in September Zukerman hired Still Here Mindfulness to bring an eight-week course to his office. Mindfulness means simply paying attention and being in the present moment without judgment. When practised regularly, studies show it reduces stress, raises the levels of calm and clarity, and increases productivity. U.S. firms have realized the benefits of implementing mindfulness in the workplace, reporting reductions in stress levels of 24-48 per cent, lessening the costs of sick leave and turnover, and increasing productivity and feelings of well-being among staff. Large companies such as Google, Nike, Procter & Gamble, Deutsche Bank and Aetna are a few of the firms currently using mindfulness successfully. Closer to home, Coast Capital Savings, BMO Financial Group, and the Conference Board of Canada are also introducing the concept in the workplace. All of that said, participants at Zukerman weren’t sold on the idea at the outset. Almost all the participants were initially resistant to trying meditation techniques, but halfway through the first class, the drop in stress levels amongst the group was palpable. At the end of the session, when asked for feedback, the lawyers talked about what a rewarding experience it was to just settle in stillness and breathe – even for a few moments. Over the following seven weeks, Still Here Mindfulness coaches showed them how to bring about that stillness throughout the day, settling in on their breath at crucial times, often before court session or tense meetings. Undertaking the mindfulness process clears away some of the mental clutter, allowing for sharper and calmer thinking. It also builds up emotional intelligence and resilience, meaning things don’t bother people for as long. Despite the initial skepticism from some attendees, the eight-week course at Zukerman was ultimately successful, because participants gave the process a chance. Once staff experienced for themselves the benefits mindfulness could bring, participants put full efforts into their practice. They all reported positive changes by the end of the course. Stuart Zukerman plans to encourage a weekly meditation session be ongoing for the group – a move that will keep their new mindfulness skills sharp, and increase the benefits.